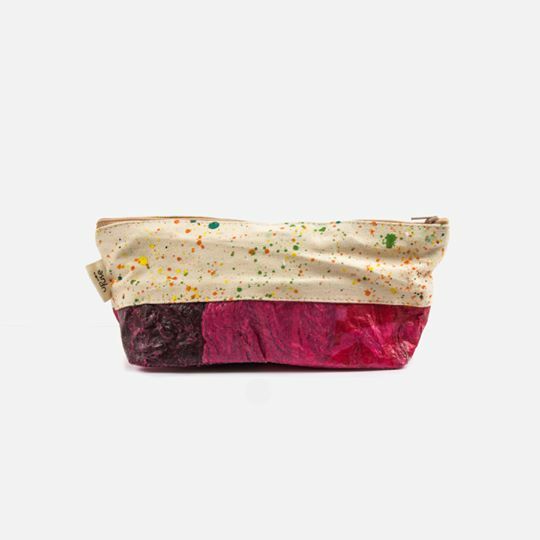 Gundara offers you here small fair and handmade upcycling cosmetics or pencil cases. Part of the on-the-go family, these cases are ethically made to be the perfect case for your travel-friendly sized shampoos, make up, or you everyday gadgets and items like pens, notes, cellphone, or wallet. No dyes added to the upcycled material. Every material used is eco-friendly, ethically and sustainably produced in Egypt. An outside zipper to keep your stuff in place! 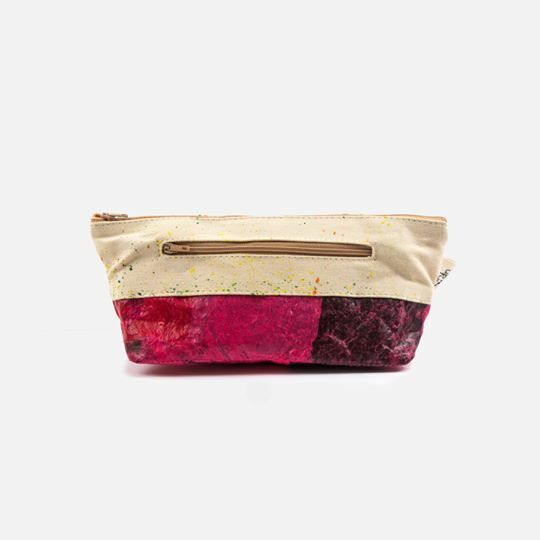 Lined with upcycled plastic to easily clean any stains! This product is waterproof and sand proof. The spontaneous ink pattern that you see on the textile part is painted by Egyptian Artist Isra Ghazali in our studio in Cairo. Up-fuse is a Cairo-based startup company that promotes a sustainable and eco-conscious lifestyle. 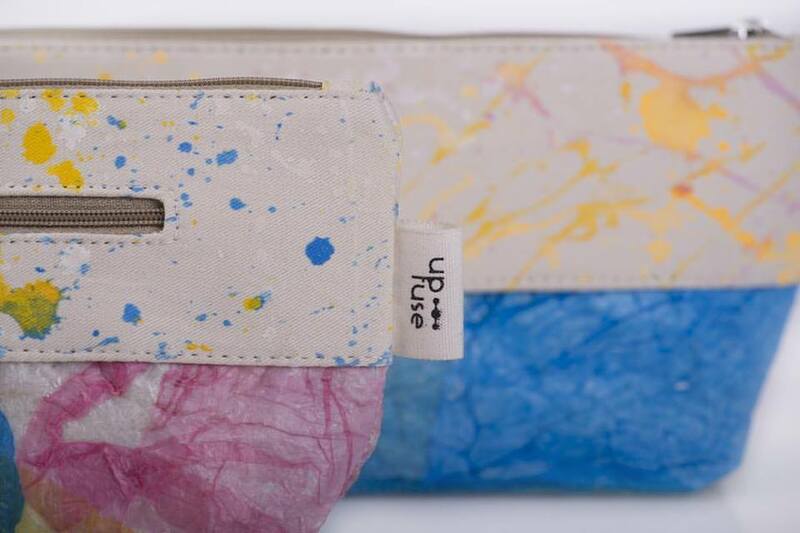 Upfuse designs and produces bags with a design edge, made out of upcycled plastic bags and other environmentally friendly and locally produced materials. Every product is handmade with unique colors and patterns, carrying stories that connect our customers to our producers. In cooperation with local NGOs in Cairo Upfuse values social responsibility and transparency in production and working conditions while promoting the skills and talents of local artisans. Upfuse's mission is to create sustainable fashion that supports local communities while raising awareness and decreasing waste; turning problems into opportunities.